Wedding Crashing with Tinker Tin Trailer Co.
We love trailers and we love LOVE… so when we get the chance to marry the 2 together (get it?) we feel extra lucky!! All of our trailer couples are so fun and unique, they all tend to beat to their own drum and think outside the box! 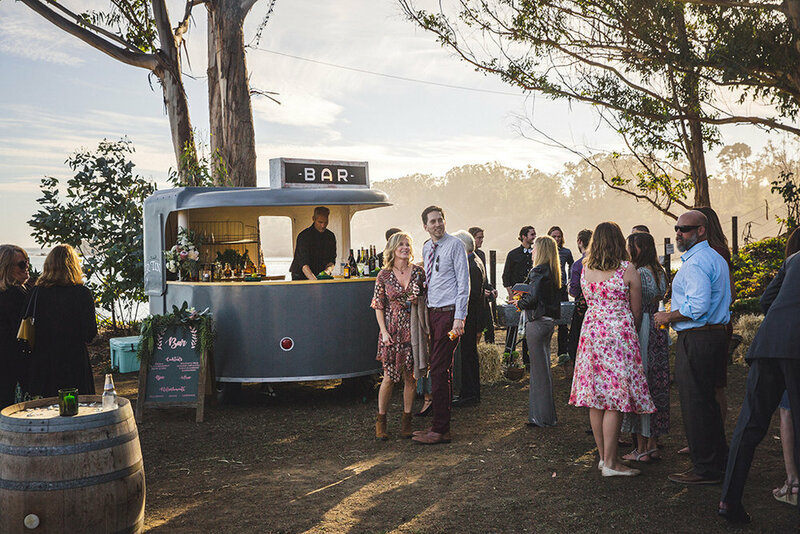 Our vintage trailers have been a part of large weddings and small, we’ve rolled into rustic barn weddings, modern and hip love stories, industrial and artistic weddings, private nuptials out in the woods and on the beach, and even 1 circus wedding! From Palm Springs to San Francisco, weddings in Saratoga to San Diego- it never gets old seeing how our vintage bar trailers, vintage bridal suite trailers and vintage trailer photo booth’s uniquely fit into each couples big day! Sidecar Cocktail Co. has served thousands of cocktails out of our Sidecar Shasta vintage bar trailer, wedding guests have poured countless beers out of the 1948 barrel keg trailer and we’ve seen some complete and utter chaos go on inside the 1953 Crown vintage photo booth trailer. On that note… We wanted to share a few wedding highlights from our travels up and down the highway of love this year. Erin and Marshall’s wedding at Holland Ranch in San Luis Obispo looked like it was straight out of an Anthropology catalogue! The decor was by far some of the best we’ve ever seen and we basically wanted to load up their displays and styled lounges and take them home to redecorate our house! You can see a full feature of their wedding by Green Wedding Shoe’s HERE. All photos were taken by Anna Delores Photography. This California ocean view wedding took place at one of our favorite venues, Swallow Creek Ranch in Cayucos, Ca. The gorgeous scenery + modern Scandinavian vibes, styled lounges and special details everywhere blew us away! All photos taken by Yvonne Goll Photography. We loved this shot of our Sidecar Shasta mobile bar trailer at Colony 29, an incredible historic venue in Palm Springs, Ca. A little unscheduled rain led to to this couple’s rehearsal dinner being moved to Green Gate Ranch’s gorgeous horse stables in San Luis Obispo,Ca. Our Trail King horse trailer bar fit in just right! As always, thank for being a part of our journey!